Using blender combine watermelon pieces and concentrate, puree until smooth. Pour into large glass or plastic container. Continue until all melon and concentrate have been pureed. Add Hott Sauce and stir. Add 2/3 of required water for concentrate and taste for tartness. Add more water if needed. Once desired flavor is reached, fill 8 oz. 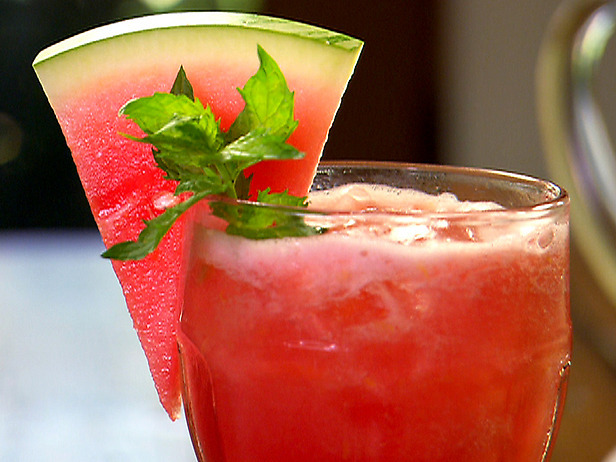 cup with ice place torn basil leaf in cup and pour over Spicy Watermelon Lemonade.